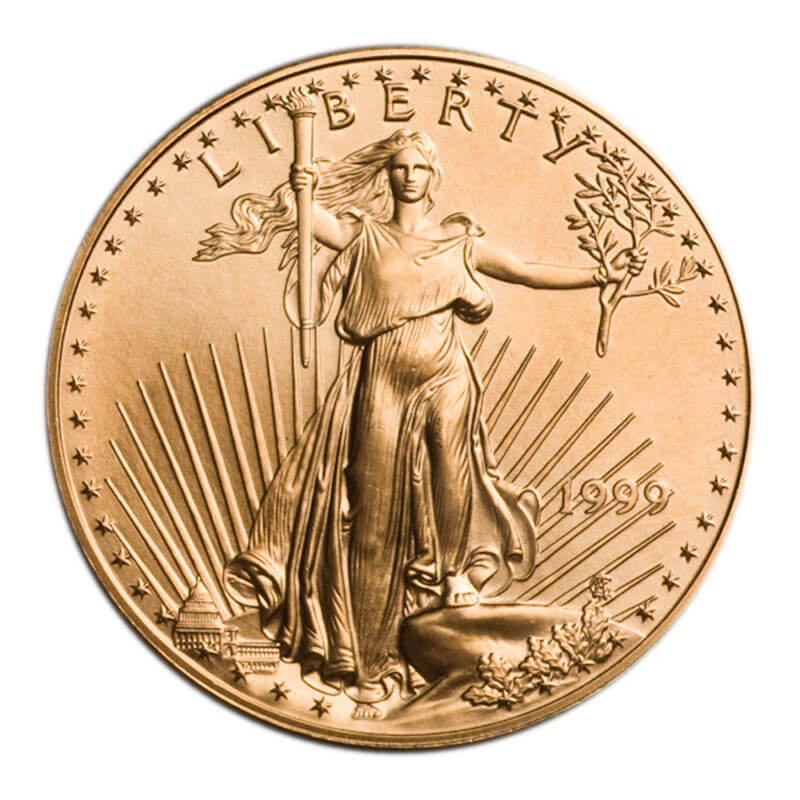 Authorized by the Bullion Coin Act of 1985, American Eagle Gold Bullion Coins quickly became one of the world’s leading gold bullion investment coins. Produced from gold mined in the United States, American Eagles are imprinted with their gold content and legal tender “face” value. However, the face value is largely symbolic since their market value has historically been much higher. This has also caused some dealers to claim that American Eagle Gold Coins are “numismatic” coins, which is not a legal opinion. 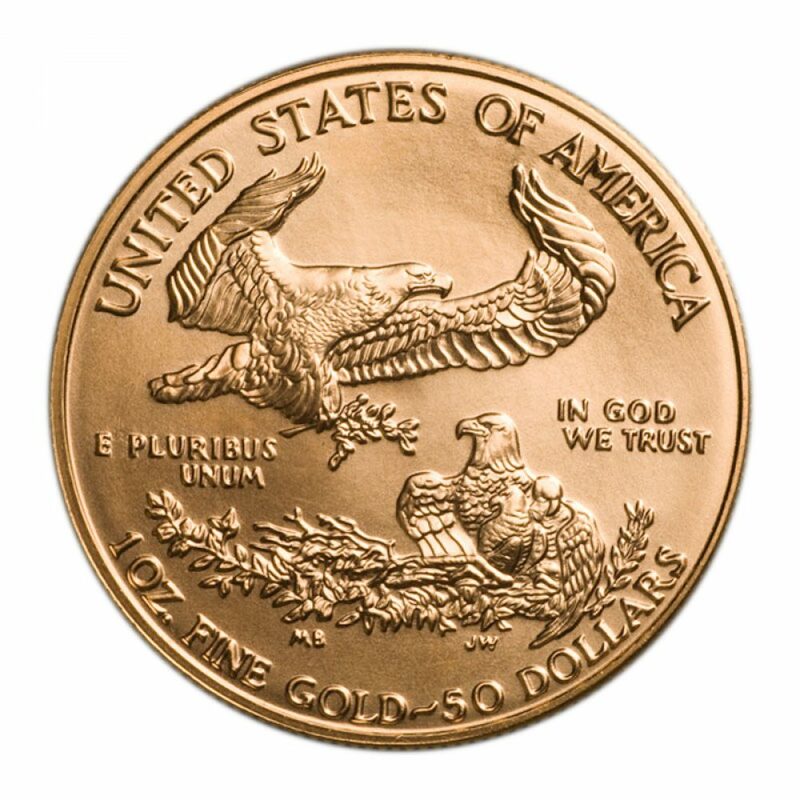 Beware of any dealer attempting to sell American Eagle Gold coins with a numismatic value or premium price. (Please see our section on reporting requirements for gold bullion coins and investments). American Eagles use the durable 22 karat standard established for gold circulating coinage over 350 years ago. They contain their stated amount of pure gold, plus small amounts of alloy. This creates harder coins that resist scratching and marring, which can diminish resale value. Minted to exacting standards, the obverse (front) design is inspired by what’s often considered America’s most beautiful coin: Augustus Saint Gaudens’ celebrated $20 gold piece, minted from 1907-33. The reverse features a nest of American Eagles, symbolizing family tradition and unity.